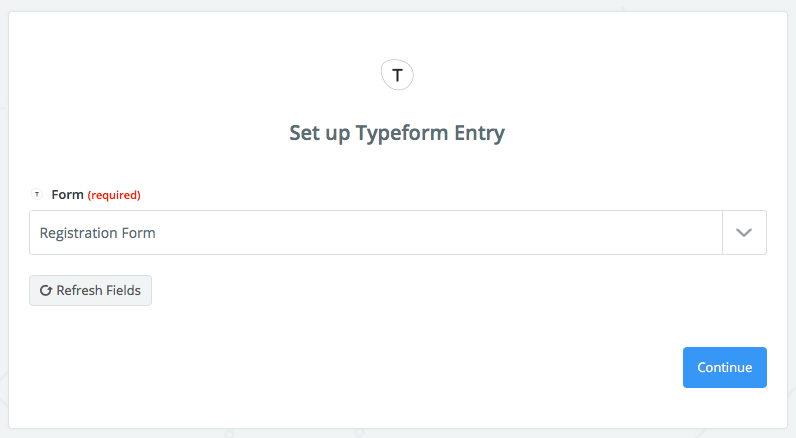 Typeform is an online software-as-a-service that lets you build conversational forms, surveys, quizzes, landing pages, and more. Zapier gives people internet superpowers by allowing them to connect and automate the apps they use. 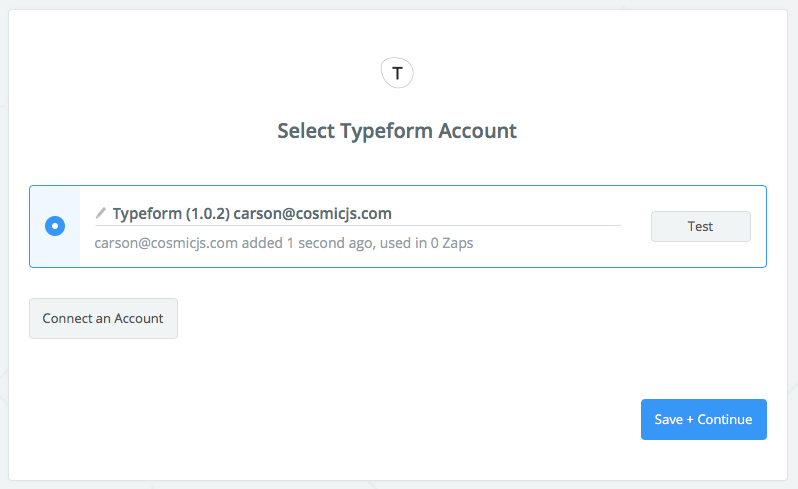 Using Zapier to connect your Typeform-generated content with Cosmic JS is easy and requires zero coding. 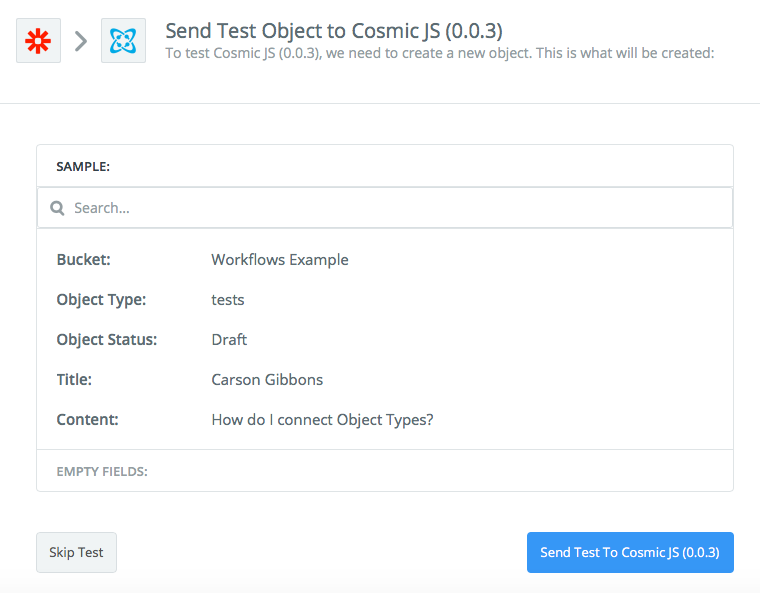 In this article I’m going to demonstrate how to publish new Objects containing survey responses in Cosmic JS as they are completed in Typeform. 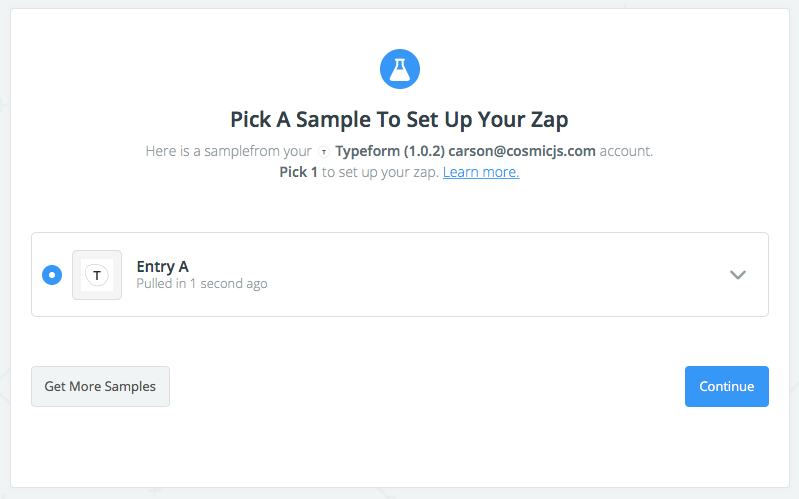 I went ahead and pulled through an entry from a recent Typeform to test my Zap. 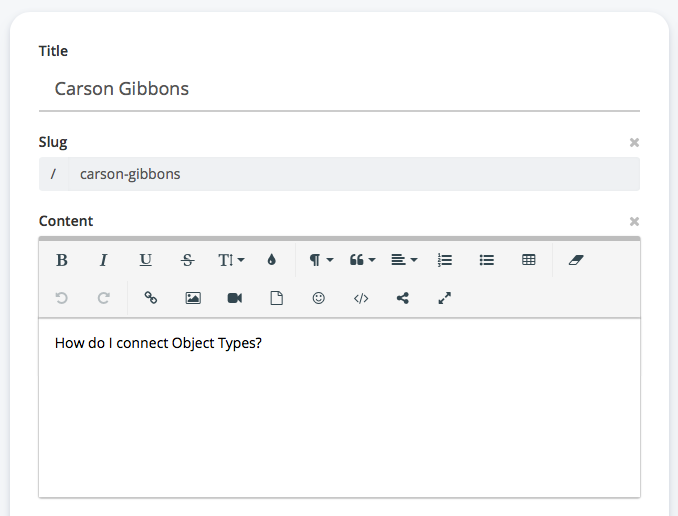 At this point I simply clarify the Object Type I'm sending my Typeform responses to and how I want my content model laid out. I select that I want to pull through first name / last name + the registration response, as pictured below. 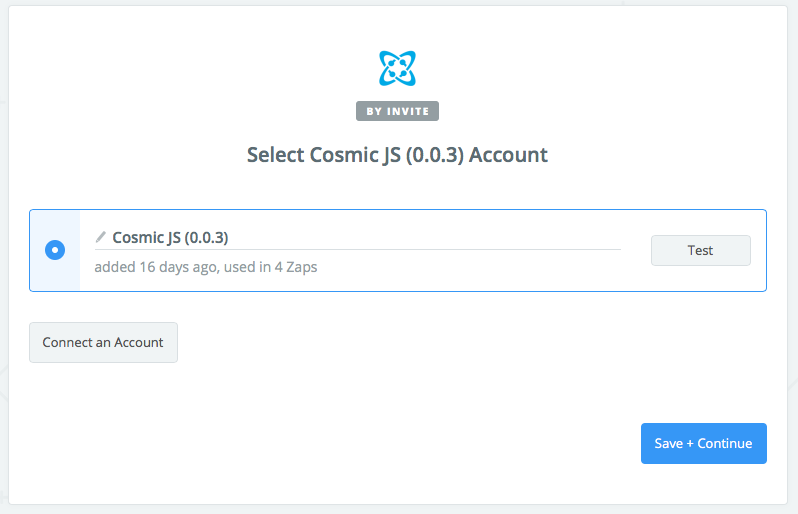 I encourage you to start automating workflows with your favorite apps using the Cosmic JS Zapier Integration. It's our goal to help your team build apps faster using your favorite tools.